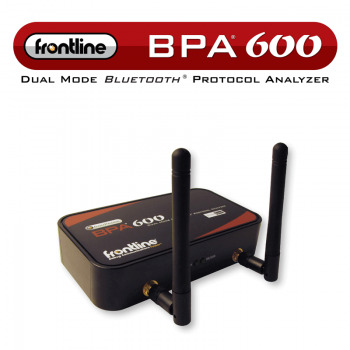 The Frontline Bluetooth Protocol Analyzer family. 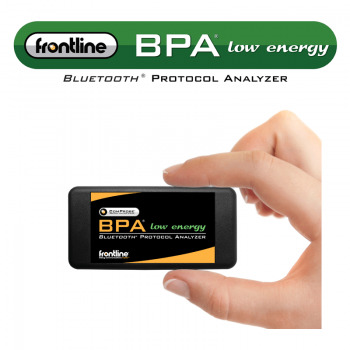 Capture Bluetooth traffic from the AIR or from the HCI circuitry. Decrypt, parse, decode, display and SEE the data in a human developer comprehensive manner. See also the Complementary Tools & Add-Ons. Be faster to develop, to troubleshoot, to have a product on a market. The delivery and quality support from the EU's heart in Prague. protocol analyzer are ready now. Pay less for what you precisely need. Nov 2018: The New Offer of six Frontline SODERA variants allows you to pick such a variant which exactly covers your development needs and spec features of the product which you develop. It allows you to minimize your expenditure and/or to to equip your team with more various SODERA units. 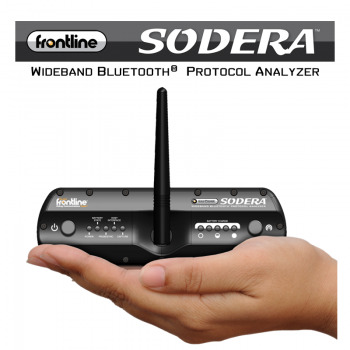 New SODERA variants allow you to focus on either BR/EDR or LE radio and the related Bluetooth stack. You are also free to choose the wideband over-the-air sniffing unit only or include the additional advanced capabilities, too. All BR/EDR SODERA variants feature the Audio Expert System included. More to know… Contact Us! Captures and analyzes all OVER-the-AIR Bluetooth 5 LE packets. devices for the Internet of Things (IoT). 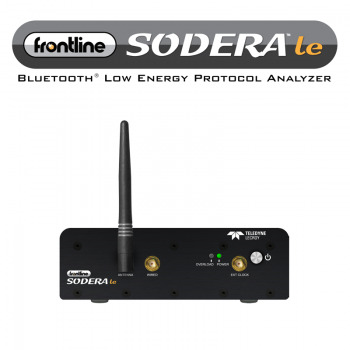 The New Offer of six Frontline SODERA variants allows you to pick such a variant which exactly covers your development needs and spec features of the product which you develop. It allows you to minimize your expenditure and/or to to equip your team with more various SODERA units within a budget then before. © 2019 AXONNET, spol. s r.o. All Rights Reserved.